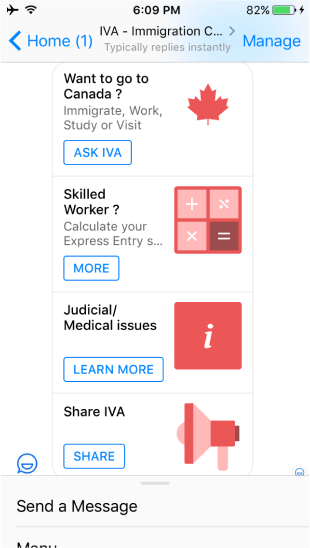 Now everyone can talk to your business in their favorite messenger. Chatbots are intuitive to use and can be implemented into several fields of business such as e-commerce, entertainment, news, customer support, delivery services or corporate information exchange. We provide our customers with a full cycle of chatbot`s development which сertainly leads to the chatbot`s success. This is one of the most important keys to success of the chatbot. Intuitive conversation. The best practices and tools lead to developing smart, fast, easy to scale chatbots. The best practices and tools leads to developing smart, fast, easy to scale chatbots. Never stop at what you have now. Keep improving your chatbot to stay #1 out there. Never stop on what you have now. Keep improving your chatbot to stay #1 out there. Don`t ever care about some possible technical problems. We will always be around. Let customers talk to you! Every good business want their customers to be satisfied and to feel special. Chatbot for hospitality fits here the best! Reach your customer before he even uses your service, make conversations personalized, take advantages of knowing the tastes of your client and provide them with amazing service at the moment they really need it. And yes, there is no need for a 24/7 person to sit in the office. Chatbot will do that for you. According to Ubisend’s report, over 50% of people surveyed said it is important for a business to be available, contactable and responding promptly 24 hours a day, 7 days a week. If you don’t have the budget to maintain a call center, chatbots are the best solution for you. Don`t let your customers wait for the answer. Give it immediately! Collect strategic data and know your customers like nobody else! 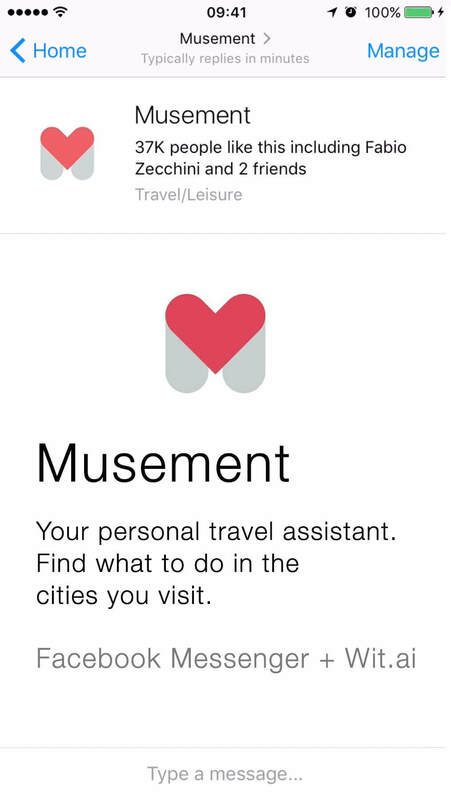 Chatbots are going to change our lives drastically. Banks have a great potential in the development of chatbots to reduce their costs and improve ergonomics. Chatbots can work for customer's convenience, managing multiple accounts, directly checking their bank balance and expenses on particular things. Customers can do payments and automated transactions directly through a chatbot without downloading any app. 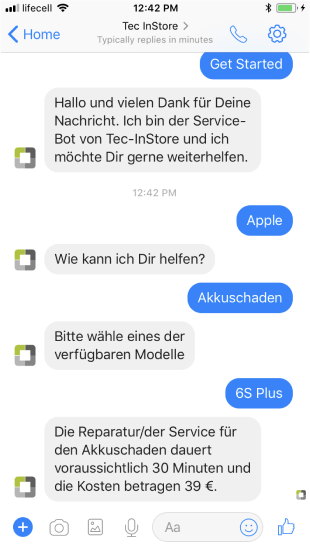 Chatbots are beneficial for e-commerce businesses in many ways, and can be used to do the following: improve shopping experience by reducing wait time (chatbots can provide instant answers to many of the common questions customers may have when examining products); retain and re-engage customers by sending messages; provide 24/7 support; reduce expenses by reducing the number of chat operators etc. Be in touch with world! Chatbots are great entertainment. They can keep a user amused and interested in your project for hours at a time, and bring them back day after day. The bot's memories and emotions allow them to create emotional and personal relationships with your visitors. Entertainment chatbots can tell stories, jokes, and chat on all sorts of topics. Their prime purpose is to have friendly, fun conversations. The 4 big cases for hotels in adopting chatbot technology are likely to center around. Simplifying your booking process so that it can be accommodated within a chatbot. Monitoring chatbots where there’s a human element – will require staff resources. Managing guest expectations – with a fast messaging service comes expectation of fast turnaround on their requests through chatbots. Ailira’s main purpose was to make the lives of lawyers easier by cutting down on their routine tasks. Another aspect that chatbot covers is making legal services more accessible to all people in Australia. And Ailira is handling her job perfectly. The first completed version exceeded expectations and received great feedback. 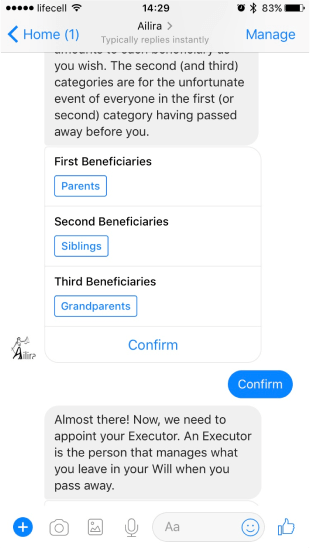 Our cooperation with EXEO and combining our experiences made it possible to develop a chatbot that makes the immigration process more manageable and understandable for users. You are not you when you are hungry. 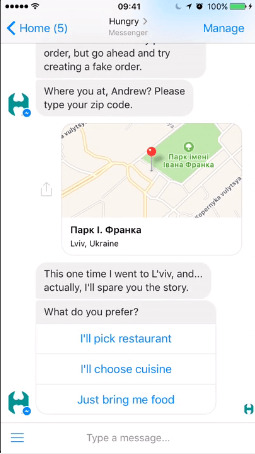 Just type what you would like to eat or the restaurant you want to order the food from, take a look at a menu and make the order within seconds, not leaving your favorite messenger. Have a good meal! Ready to get own bot? Not sure what kind of experts would be best for your project? Nowdays everyone likes messaging. We will help you and your customers to find each other despite of which platform they are using. We develop chatbots for any modern messaging platforms. Also, chatbots for the website, sms or voice assistant like Alexa and Google Home. It`s not only about developing the chatbot. But developing chatbots that bring real value to you and your customers. Want to power your chatbot with the NLP & AI? We are here to help you! We are using the most powerful tools on the market for that. We develop chatbots for any modern messaging platforms. Also, chatbots for the websites, sms or voice assistants like Alexa and Google Home.